This particular picture was painted for His Majesty Sultan Qaboos Bin Said, the Sultan of Oman’s private yacht. Given these dhows operated for many centuries over a wide region there are many variations of name pronounciation, a few are Bagala, Baghalah, Baghela, Bagla, & the simple sailor like, bag. 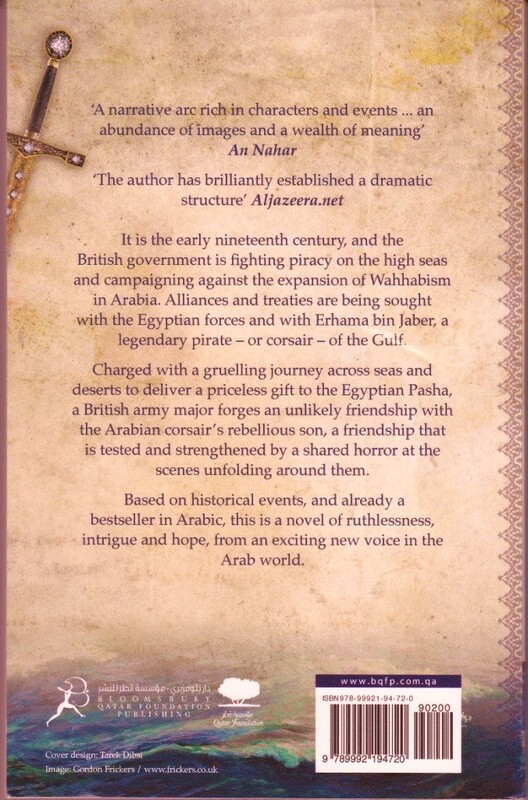 The image was licenced to Bloomsbury Books for a book cover in Arabic and in English. 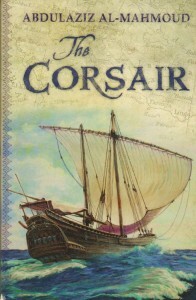 “The Corsair” became a best seller. Baghala dhows were well adapted to Gulf waters because of their shallow draft, flat bottoms and maneuverability. 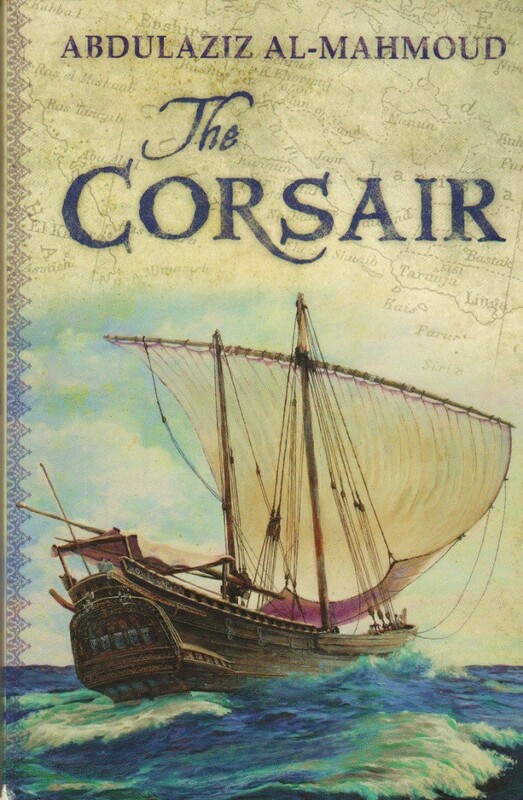 Their lateen sails, long stems, and sharp bows equipped them equally well for running before the monsoon winds of the Indian Ocean, while they could also easily take the ground up beaches and creeks to handle cargo. As my painting shows, the baghlah type of dhow was much influenced by the designed of Portuguese Carracks and Caravels which by the 16 th century were busy exploring the African coast, the Indian Ocean and horizons beyond. Many Baglaha were built in Sur Oman although more were built in the Persian Gulf. The Baglah’s usual dimensions were: Length 70 – 130 feet Weight 150 – 400 tons. Dhow, by the way, is a term, thought by some to be of Swahili (African) origin. Dhow refers to several types of sailing vessels (now outfitted with motors) common to the Gulf Arab states. In the case of dhows the types are determined principally by size and hull design rather than as the English do, by rig. Four kinds of dhows account for most of these vessels of which the Baglah despite its many variations of name, is but one. The Baglah was a lateen-rigged sailing vessel with the mainsail considerably bigger than the mizzen and occasionally carrying a third mast, typically having a raised poop, transom stern with notably 5 stern windows on an arched carved transom reminiscent of European caravels and galleons, a raked stem, and one or two masts, used along the coasts of the Indian Ocean. Now bordering on extinct the Baglah was formerly an important deep-sea vessel. Sometimes over 300 tons (272 metric tons) and with a crew of 15, it was built with a high, squared stern and poop deck influenced by the first European ships into the area, sixteenth- and seventeenth-century Portuguese vessels and carried 2 masts both Lateen rigged as shown in our painting. 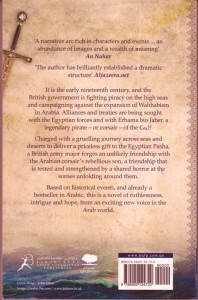 Some western scholars have dismissed the people of Arabia as reluctant mariners. This ignores the significant role played by the fleets of Kuwait, Bahrain, Oman and Yemen and Basrah which carried the trade and often the faith of Islam to Africa, India, the Far East, even to China for over a 1000 years. Indigenous to the coasts of the Arabian Peninsula, India, and East Africa, the earliest dhows were almost certainly simple dugouts with teak planks sewn to their sides to form a hull. Gradually larger vessels would have evolved. A keel was introduced, to which planking was sewn, later tree nailed. Shell-built construction differed from the European frame-first method, in which planking was attached to ribbing however large ships were built by this method in Europe (see “Zeven Provinciën“, Royal Netherlands Navy). Shell-building allows shipwrights to create a vessel one plank at a time. Almost since time immemorial, for sure as far back as King Solomon of Israel, large wooden ships have sailed the Indian Ocean and Arab seas. Without archaeological evidence, so far Gordon Frickers doesn’t know of any ancient wreck of a vessel indigenous to the Persian Gulf or Indian Ocean that has ever been found. Oman has been a seafaring nation at least as far back as the 8th century when an Omani vessel was reported to have reached Canton in China. By the eighth century Arab fleets of such ships were part of a commercial maritime network unequaled in the east or superseded until the Europeans entered these waters.